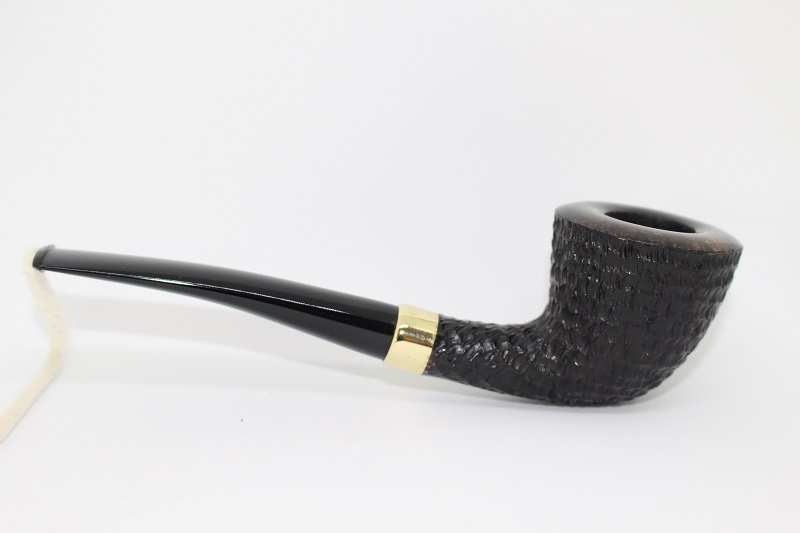 I just finished up this pipe, all black and with a nice big brass mount on it. Wow. 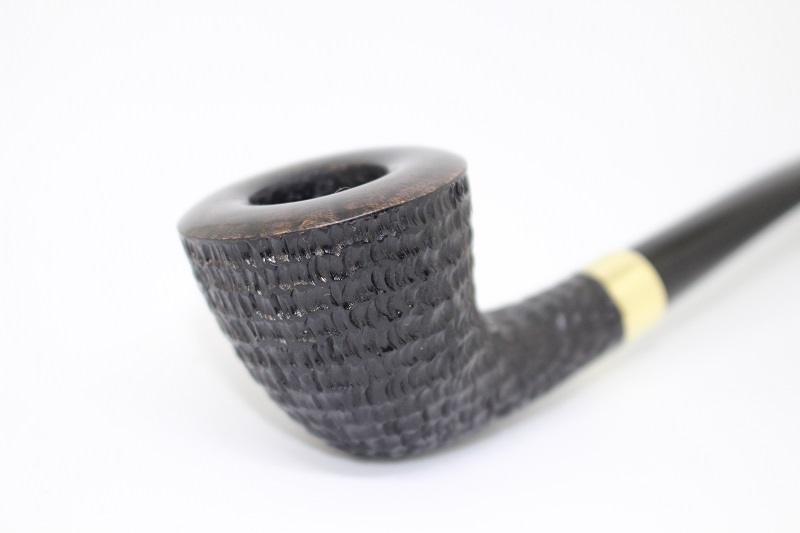 The shape and proportions of this pipe are a perfect compliment to the ring grain. I mean PERFECT. You are causing me pain, Brian. I really like this one, Brian. That's a great shape well executed. Super nice! 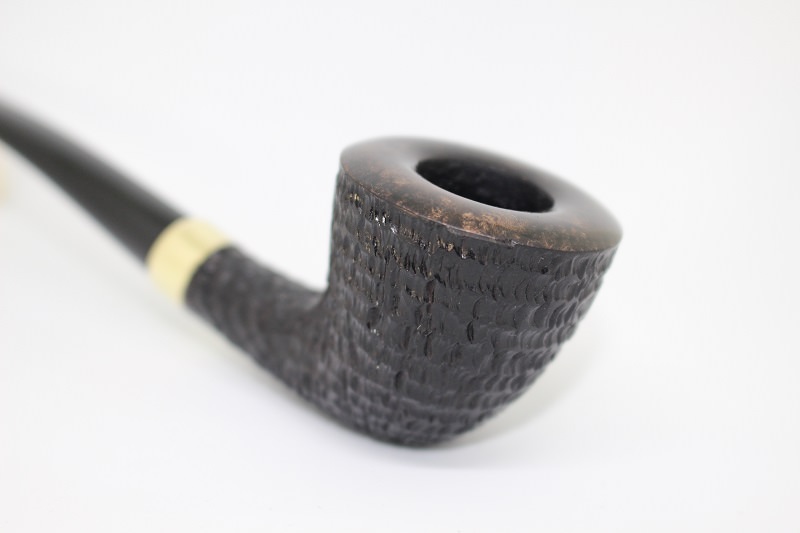 I like the rustication too. . . .I like the rustication too. 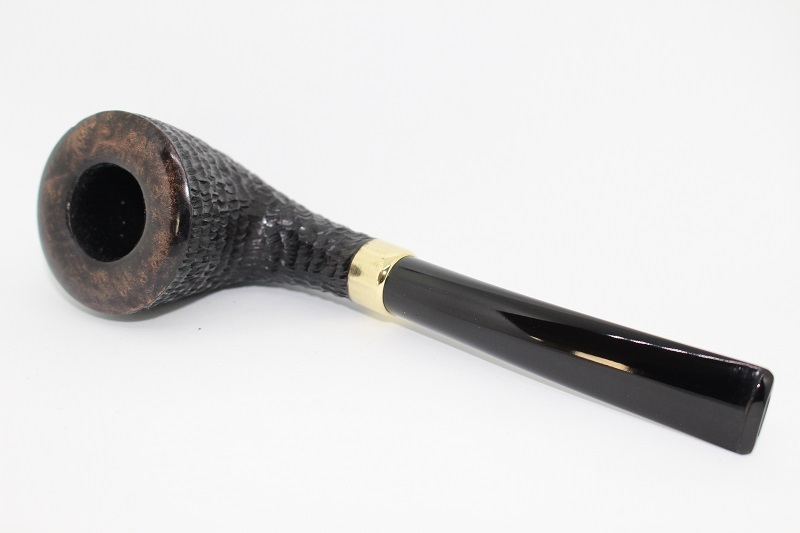 I looked a long time trying to decide if this is rusticated or if it's a blast with perfect grain. 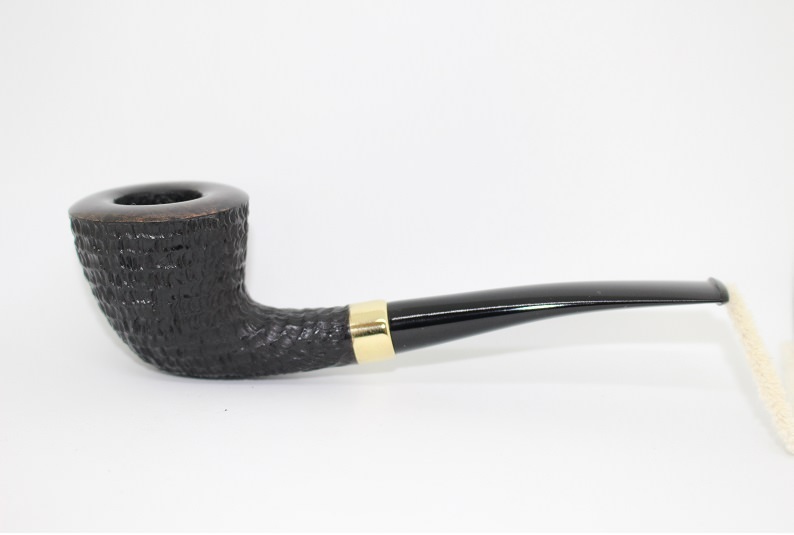 Spill the beans Brian, is it rusticated or blasted? It's definitely rusticated. The way the rings are perfect on the bowl but radiate on the shank is a giveaway. I'm not saying it's impossible to find a block oddly shaped like that but it would be a one in a million and you'd have to plan the alignment perfectly and still get lucky. It's one of the most attractive rustications I've ever seen though. Reminds me of Rubio's faux sandblast rustication but less contrived in a strange way. This thing is a gorgeous pipe! Every detail is a sign that it was made by a true master! Really attractive pipe, Brian. Nice work. Question: Since brass will oxidize, do you coat or treat the brass in anyway to slow or stop oxidation? 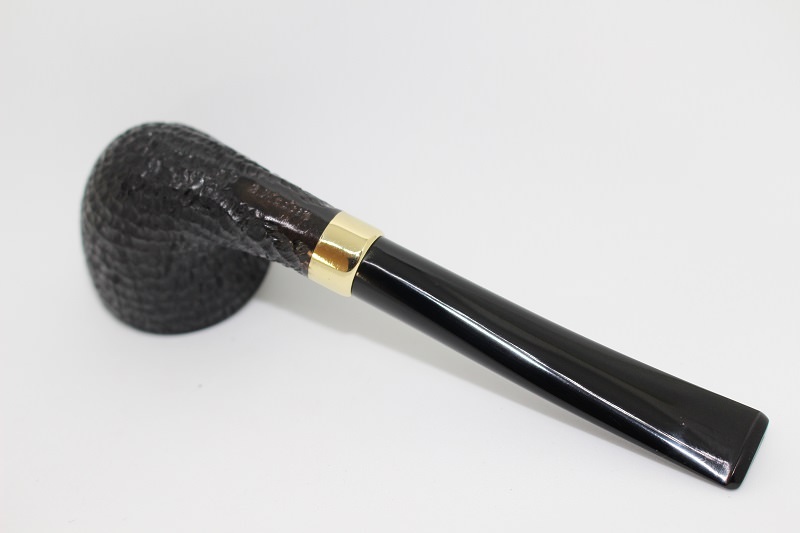 Or, do you do that by simply polishing it periodically with regular pipe maintenance?